The fulltext versions of publications posted here are the author's versions of the works. They are not for redistribution. For the definitive versions of the publications, follow the citation information and the hyperlink of each publication (which is formatted using the permanent DOI URL). If you want to reuse copyrighted material from any publication, contact the corresponding copyright owner. Note that many publications contain a detailed copyright declaration, which you should read carefully. This note will not be repeated below to avoid unnecessary redundancies. Note: The underlined names like "Shujun Li" denote lead guest (co-)editor(s). Fagen Li, Shujun Li (Lead Guest Co-Editors), and Fuchun Guo, Tsuyoshi Takagi, Mingwu Zhang & Lein Harn (Area Editors), Journal of Information Security and Applications, Special Issue on New Frontiers in Cyber Security, to be published in 2019 © Elsevier Science B. V.
Anderson Rocha, Shujun Li, C.-C. Jay Kuo, Alessandro Piva and Jiwu Huang, Journal of Visual Communication and Image Representation, Special Section on Data-driven Multimedia Forensics and Security (editorial), published in 2018 © Elsevier Science B. V.
Shujun Li, Konrad Rieck and Alan Woodward, Journal of Information Security and Applications, Special Section on Threat Detection, Analysis & Defense (editorial), vol. 19, no. 3, pp. 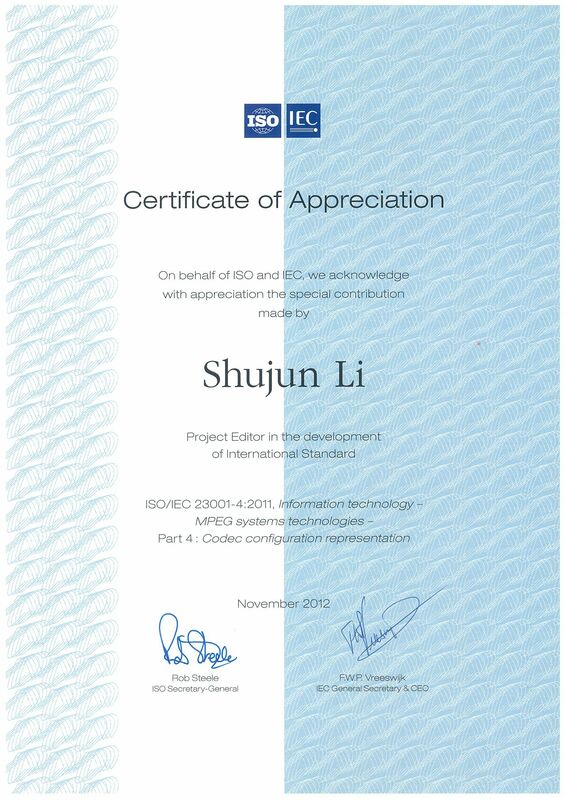 163-244, 2014 © Elsevier Science B. V.
Shujun Li and Edgar Weippl, Information Security Technical Report (renamed to Journal of Information Security and Applications in May 2013), Special Issue: ARES 2012 7th International Conference on Availability, Reliability and Security (editorial), vol. 17, no. 4, pp. 129-252, 2013 © Elsevier Science B. V.
Note: The underlined names like "Shujun Li" and "Gonzalo Alvarez" denote corresponding authors. 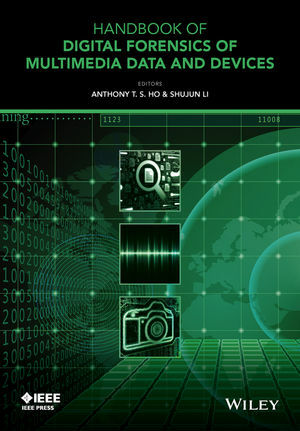 This book was republished in March 2006 by Auerbach Publications (also part of Taylor & Francis Group, LLC) with a different title "Multimedia Encryption and Authentication Techniques and Applications". Note: The underlined names like "Shujun Li" and "Gonzalo Alvarez" denote corresponding authors (and presenters as well in case of conference papers). For MPEG standardization contributions, the underlined names include principal contributor(s)/editors and the presenter(s). 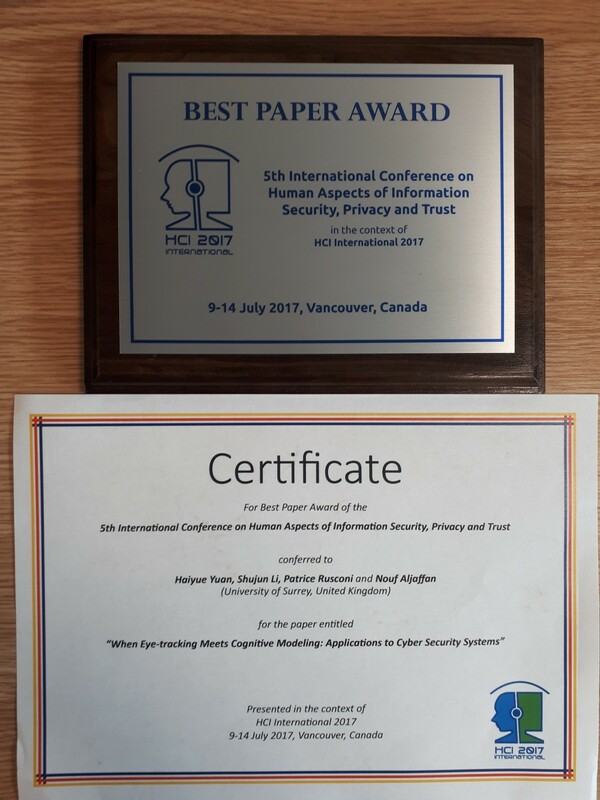 Ximing Liu, Yingjiu Li, Robert H. Deng, Bing Chang and Shujun Li, "When Human Cognitive Modeling Meets PINs: User-Independent Inter-Keystroke Timing Attacks," Computers & Security, vol. 80, pp. 90-107, 2019 (arXiv:1810.07665) © Elsevier Science B. V.
Simying Ong, Shujun Li, KokSheik Wong and KuanYew Tan, "Fast Recovery of Unknown Coefficients in DCT-Transformed Images," Signal Processing: Image Communication, vol. 58, pp. 1-13, 2017 © Elsevier Science B. V.
Mario Čagalja, Toni Perković, Marin Bugarić and Shujun Li, "Fortune cookies and smartphones: Weakly unrelayable channels to counter relay attacks," Pervasive and Mobile Computing, vol. 20, pp. 64-81, 2015 © Elsevier Science B. V.
Hui Wang, Anthony TS Ho and Shujun Li, "A Novel Image Restoration Scheme Based on Structured Side Information and Its Application to Image Watermarking," Signal Processing: Image Communication, vol. 29, no. 7, pp. 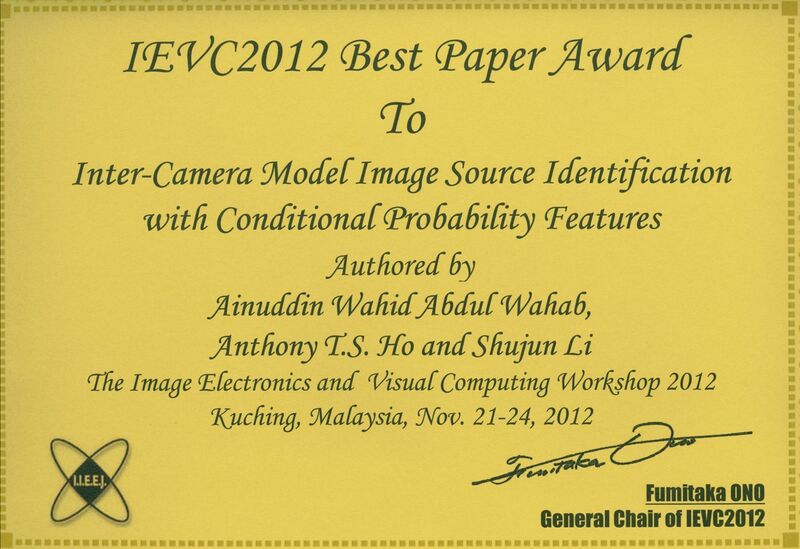 773-787, 2014 © Elsevier Science B. V.
Junaid Jameel Ahmad, Shujun Li, Richard Thavot and Marco Mattavelli, "Secure Computing with the MPEG RVC Framework," Signal Processing: Image Communication, vol. 28, no. 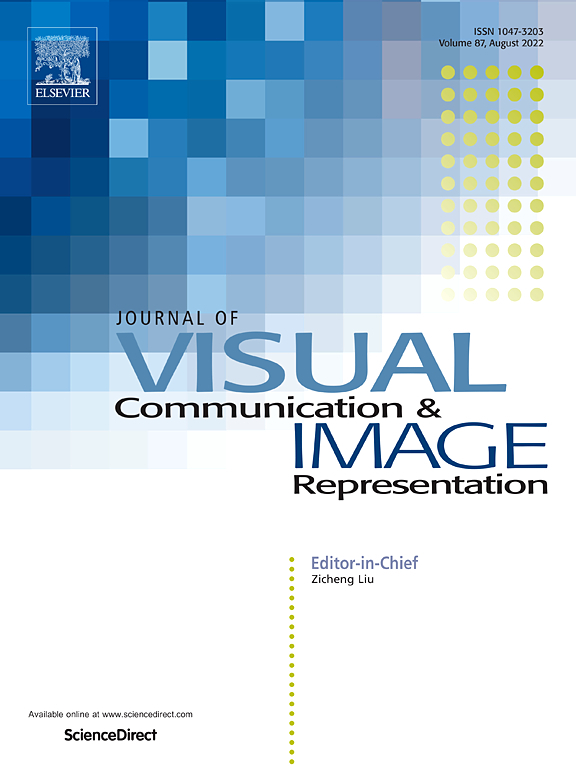 10 (special issue on Recent Advances on MPEG Codec Configuration Framework), pp. 1315-1334, 2013 © Elsevier Science B. V.
Chengqing Li, Shujun Li and Kwok-Tung Lo, "Breaking a modified substitution-diffusion image cipher based on chaotic standard and logistic maps," Communications in Nonlinear Science and Numerical Simulation, vol. 16, no. 2, pp. 837-843, 2011 © Elsevier Science B. V.
David Arroyo, Gonzalo Alvarez, José María Amigó and Shujun Li, "Cryptanalysis of a family of self-synchronizing chaotic stream ciphers," Communications in Nonlinear Science and Numerical Simulation, vol. 16, no. 2, pp. 805-813, 2011 © Elsevier Science B. V.
Chengqing Li, Shujun Li, Kwok-Tung Lo and Kyandoghere Kyamakya, "A differential cryptanalysis of Yen-Chen-Wu multimedia cryptography system," Journal of Systems and Software, vol. 83, no. 8, pp. 1443-1452, 2010 © Elsevier Science B. V.
A.B. Orue, G. Alvarez, G. Pastor, M. Romera, F. Montoya and Shujun Li, "A new parameter determination method for some double-scroll chaotic systems and its applications to chaotic cryptanalysis," Communications in Nonlinear Science and Numerical Simulation, vol. 15, no. 11, pp. 3471-3483, 2010 © Elsevier Science B. V.
David Arroyo, Shujun Li, Gonzalo Alvarez, José María Amigó and Rhouma Rhouma, "Comments on 'Image encryption with chaotically coupled chaotic maps'," Physica D: Nonlinear Phenomena, vol. 239, no. 12, pp. 1002-1006, 2010 © Elsevier Science B. V.
The PDF files are the authors' versions of the work. They are posted here by permission of ACM for your personal use. Not for redistribution. The definitive version was published as above. Rhouma Rhouma, Ercan Solak, David Arroyo, Shujun Li, Gonzalo Alvarez and Safya Belghitha, "Comment on “Modified Baptista type chaotic cryptosystem via matrix secret key” [Phys. Lett. A 372 (2008) 5427]," Physics Letters A, vol. 373, no. 37, pp. 3398-3400, 2009 © Elsevier Science B. V.
A.B. Orue, V. Fernandez, G. Alvarez, G. Pastor, M. Romera, F. Montoya, C. Sanchez-Avila and Shujun Li, "Breaking a SC-CNN-based Chaotic Masking Secure Communication System," International Journal of Bifurcation and Chaos, vol. 19, no. 4, pp. 1329-1338, 2009 © World Scientific Publishing Co.
David Arroyo, Gonzalo Alvarez, Shujun Li, Chengqing Li and Veronica Fernandez, "Cryptanalysis of a New Chaotic Cryptosystem Based on Ergodicity," International Journal of Modern Physics B, vol. 23, no. 5, pp. 651-659, 2009 © World Scientific Publishing Co.
David Arroyo, Chengqing Li, Shujun Li, Gonzalo Alvarez and Wolfgang A. Halang, "Cryptanalysis of an image encryption scheme based on a new total shuffling algorithm," Chaos, Solitons & Fractals, vol. 41, no. 5, pp. 2613-2616, 2009 © Elsevier Science B. V.
G. Alvarez and Shujun Li, "Cryptanalyzing a nonlinear chaotic algorithm (NCA) for image encryption," Communications in Nonlinear Science and Numerical Simulation, vol. 14, no. 11, pp. 3743-3749, 2009 © Elsevier Science B. V.
Chengqing Li, Shujun Li, Muhammad Asim, Juana Nunez, Gonzalo Alvarez and Guanrong Chen, "On the security defects of an image encryption scheme," Image and Vision Computing, vol. 27, no. 9, pp. 1371-1381, 2009 © Elsevier Science B. V.
Chengqing Li, Shujun Li, Guanrong Chen and Wolfgang A. Halang, "Cryptanalysis of an image encryption scheme based on a compound chaotic sequence," Image and Vision Computing, vol. 27, no. 8, pp. 1035-1039, 2009 © Elsevier Science B. V.
David Arroyo, Chengqing Li, Shujun Li, Gonzalo Alvarez, "Cryptanalysis of a computer cryptography scheme based on a filter bank," Chaos, Solitons & Fractals, vol. 41, no. 1, pp. 410-413, 2009 © Elsevier Science B. V.
A.B. Orue, V. Fernandez, G. Alvarez, G. Pastor, M. Romera, Shujun Li and F. Montoya, "Determination of the parameters for a Lorenz system and application to break the security of two-channel chaotic cryptosystems," Physics Letters A, vol. 372, no. 34, pp. 5588-5592, 2008 © Elsevier Science B. V.
Shujun Li, Chengqing Li, Guanrong Chen and Kwok-Tung Lo, "Cryptanalysis of the RCES/RSES image encryption scheme," Journal of Systems and Software, vol. 81, no. 7, pp. 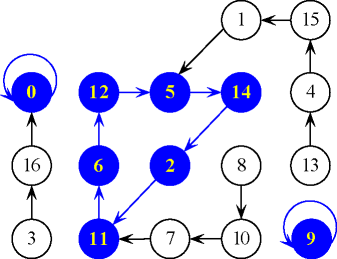 1130-1143, 2008 © Elsevier Science B. V.
Shujun Li, Chengqing Li, Guanrong Chen, Nikolaos G. Bourbakis and Kwok-Tung Lo, "A general quantitative cryptanalysis of permutation-only multimedia ciphers against plaintext attacks," Signal Processing: Image Communication, vol. 23, no. 3, pp. 212-223, 2008 © Elsevier Science B. V.
Chengqing Li, Shujun Li, Gonzalo Álvarez, Guanrong Chen and Kwok-Tung Lo, "Cryptanalysis of a chaotic block cipher with external key and its improved version," Chaos, Solitons & Fractals, vol. 37, no. 1, pp. 299-307, 2008 © Elsevier Science B. V.
David Arroyo, Gonzalo Alvarez, Shujun Li, Chengqing Li and Juana Nunez, "Cryptanalysis of a discrete-time synchronous chaotic encryption system," Physics Letters A, vol. 372, no. 7, pp. 1034-1039, 2008 © Elsevier Science B. V.
Chengqing Li, Shujun Li, Gonzalo Álvarez, Guanrong Chen and Kwok-Tung Lo, "Cryptanalysis of two chaotic encryption schemes based on circular bit shift and XOR operations," Physics Letters A, vol. 369, no. 1-2, pp. 23-30, 2007 © Elsevier Science B. V.
Gonzalo Álvarez, Shujun Li and Luis Hernandez, "Analysis of security problems in a medical image encryption system," Computers in Biology and Medicine, vol. 37, no. 3, pp. 424-427, 2007 © Elsevier Science B. V.
Shujun Li and Kwok-Tung Lo, "Security problems with improper implementations of improved FEA-M," Journal of Systems and Software, vol. 80, no. 5, pp. 791-794, 2007 © Elsevier Science B. V.
Gonzalo Álvarez and Shujun Li, "Some Basic Cryptographic Requirements for Chaos-Based Cryptosystems," International Journal of Bifurcation and Chaos (Tutorial-Review Section), vol. 16, no. 8, pp. 2129-2151, 2006 © World Scientific Publishing Co.
Shujun Li, Guanrong Chen and Gonzalo Álvarez, "Return-Map Cryptanalysis Revisited," International Journal of Bifurcation and Chaos, vol. 16, no. 5, pp. 1557-1568, 2006 © World Scientific Publishing Co.
Gonzalo Álvarez and Shujun Li, "Breaking an encryption scheme based on chaotic Baker map," Physics Letters A, vol. 352, no. 1-2, pp. 78-82, 2006 © Elsevier Science B. V.
Chengqing Li, Shujun Li, Der-Chyuan Lou and Dan Zhang, "On the security of the Yen-Guo's domino signal encryption algorithm (DSEA)", Journal of Systems and Software, vol. 79, no. 2, pp. 253-258, 2006 © Elsevier Science B. V.
Shujun Li, Guanrong Chen and Xuanqin Mou, "On the Dynamical Degradation of Digital Piecewise Linear Chaotic Maps," International Journal of Bifurcation and Chaos (Tutorial-Review Section), vol. 15, no. 10, pp. 3119-3151, 2005 © World Scientific Publishing Co.
Gonzalo Álvarez, Luis Hernández, Jaime Muñóz, Fausto Montoya and Shujun Li, "Security analysis of communication system based on the synchronization of different order chaotic systems," Physics Letters A, vol. 345, no. 4-6, pp. 245-250, 2005 © Elsevier Science B. V.
Shujun Li, Gonzalo Álvarez and Guanrong Chen, "Breaking a chaos-based secure communication scheme designed by an improved modulation method," Chaos, Solitons & Fractals, vol. 25, no. 1, pp. 109-120, 2005 © Elsevier Science B. V.
G. Álvarez, Shujun Li, F. Montoya, G. Pastor and M. Romera, "Breaking projective chaos synchronization secure communication using filtering and generalized synchronization," Chaos, Solitons & Fractals, vol. 24, no. 3, pp. 775-783, 2005 © Elsevier Science B. V.
Shujun Li, Guanrong Chen, Kwok-Wo Wong, Xuanqin Mou and Yuanlong Cai, "Baptista-type chaotic cryptosystems: problems and countermeasures," Physics Letters A, vol. 332, no. 5-6, pp. 368-375, 2004 © Elsevier Science B. V.
Gonzalo Álvarez and Shujun Li, "Breaking network security based on synchronized chaos," Computer Communications, vol. 27, no. 16, pp. 1679-1681, 2004 © Elsevier Science B. V.
Shujun Li, Xuanqin Mou, Boliya L. Yang, Zhen Ji and Jihong Zhang, "Problems with a Probabilistic Encryption Scheme Based on Chaotic Systems", International Journal of Bifurcation and Chaos, vol. 13, no. 10, pp. 3063-3077, 2003 © World Scientific Publishing Co.
Shujun Li, Xuanqin Mou, Yuanlong Cai, Zhen Ji and Jihong Zhang, "On the security of a chaotic encryption scheme: problems with computerized chaos in finite computing precision," Computer Physics Communications, vol. 153, no.1, pp. 52-58, 2003 © Elsevier Science B. V.
Shujun Li, Xuanqin Mou, Zhen Ji, Jihong Zhang and Yuanlong Cai, "Performance analysis of Jakimoski-Kocarev attack on a class of chaotic cryptosystems," Physics Letters A, vol. 307, no. 1, pp. 22-28, 2003 © Elsevier Science B. V.
Note that the CVES system proposed in this paper is not sufficiently secure against chosen-plaintext attack. See Chapter 9 of Shujun Li's PhD thesis for an enhanced edition without this security flaw. Shujun Li, Xuanqin Mou and Yuanlong Cai, "Improving security of a chaotic encryption approach," Physics Letters A, vol. 290, no. 3-4, pp. 127-133, 2001 © Elsevier Science B. V.
Note: The survey on chaotic cryptography included in Chapter 2 of the thesis has been outdated to some extent, see the following two talks that Shujun LI delivered in 2005 for more information: Digital Chaotic Ciphers ( , 1.03MB), Analog Chaos-Based Secure Communications ( , 4.34MB). For an extended version of Chapter 3, see the paper "On the Dynamical Degradation of Digital Piecewise Linear Chaotic Maps" ( ) published in International Journal of Bifurcation and Chaos in 2005. Note that the security evaluations listed in the tables of this article are about ciphertext-only attacks, i.e., about the brute-force attack of the secret key. Many image and video ciphers are actually insecure against known/chosen-plaintext attacks. Only one revision exists, which was created (or modified) by hooklee at Wednesday, March 27, 2019 6:26:47 PM. This page was locked and can only be edited by administrators.